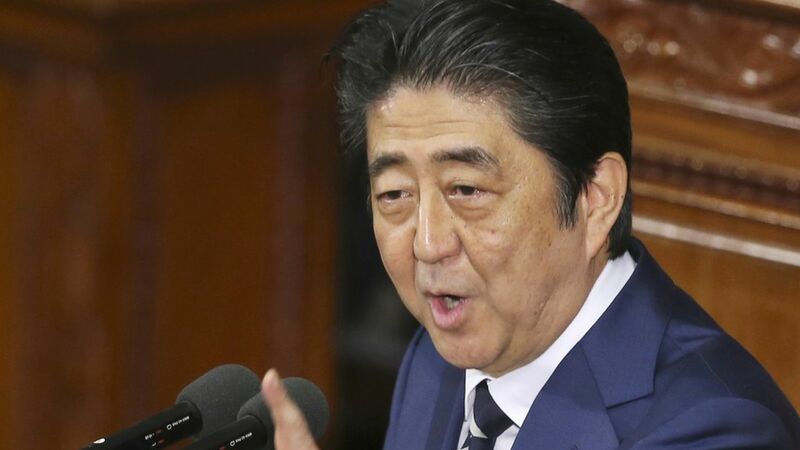 Japanese Prime Minister Shinzo Abe plans to propose a widespread economic cooperation package to create hundreds of thousands of jobs in the U.S. when he meets with Trump next week, per AP. Details: A $150 billion investment in U.S. infrastructure, funded by Japan's government and other private sources, over 10 years. The focus points, per Japanese media, would be high-speed trains, liquefied natural gas facilities in Asia to help expand exports of U.S. natural gas, and expanding nuclear energy-related sales. If implemented, the plan is expected to generate $450 billion in new business. What does Japan get out of it? Abe says that Japanese companies, like Toyota, have been making big investments in the U.S. for years and reaping the rewards of those profits. "If the United States grows, without a doubt that benefits Japan." Why this matters: Japan has looked to Abe on how to deal with Trump's decision to pull out of the Trans-Pacific Partnership. This proposal is Abe's way of replacing concerns over trade issues with a business opportunity for both sides.